Well it doesn’t get much better than this. It’s Cup Final Weekend. 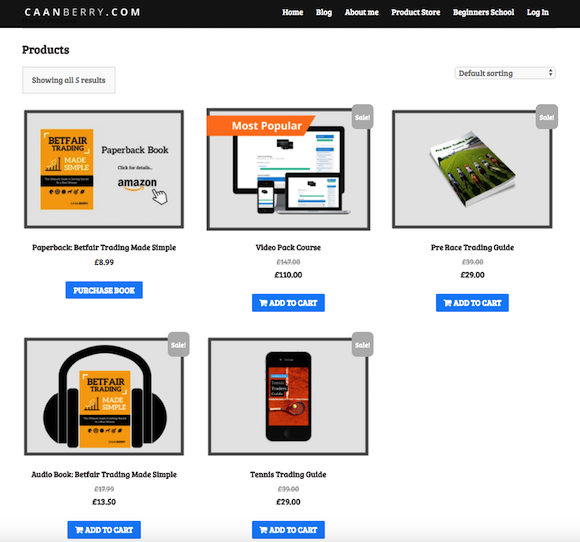 The sun is out & Caan Berry has got a sale on! 1 Hr 14 Minutes of new content (compact and concise, without padding). 10 Videos, 1 Module (titled absolute basics on the content table for existing users). Written transcription (accompanying each clip individually). Progressive explanation (starting from landing on the Betfair website). Here’s Caan with a little bit more on what the products are all about and remember this offer is only on until midnight on 20th May…. The Video Package is an incredibly powerful visual aide designed to help you anticipate market movements before they happen, identify and confirm them as they do, and then execute your trades efficiently in the moment while limiting risk. ✓ Find low risk – high reward situations within the tennis markets, exploiting them for maximum return. ✓ Learn the core principles of a winning tennis trader, explaining why they are so valuable. ✓ Build and input strategy and structure to your tennis trading routine. ✓ Swerve painful mistakes before they develop and occur, increasing trading confidence through minimising losses. ✓ Your unique login details to a secure area, straight to your inbox (Please specify a valid email if your PayPal email is not correct). ✓ [PDF Guide] Full of content from getting started, setup, suggested tools, strategies and links via a secure login viewer. ✓ Insight and advice on how to setup and use various tools and catch opportunities in the tennis markets. ✓ Lifetime access to the ‘Tennis Traders Guide’ area. (Inclusive of all future updates) Currently version is 1.0. Here’s a copy of our latest mailer detailing the Black Friday Deals that are still going strong, enjoy…..
Well it may be Wednesday but there are still some Black Friday deals that are still running, yeah really! I’ll keep it short and sweet today. The Black Friday Sale Now Ends Midnight Friday and these prices will NEVER be back. The Beginners Horse Racing Trading Course on 9th December 2017 is £249. Today until midnight Friday you can join us in Birmingham for £199 – Save £50. If you book the Beginners Horse Racing Trading Course our Head of Education has now added some Christmas sparkle by giving you £100 of free ebooks too! 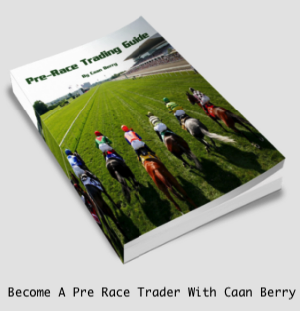 Book now and get the RacingTrader and In Running ebooks free. Our hugely popular Online Video Course at £199 working at the pace that you want is great value. But as it’s Black Friday Extended it’s now only £99 – Save £100. And talking of traders then our good friend & top pro Can Berry has a massive free to enter prize giveaway which is still available to enter and when you look at the prize list below you won’t want to miss this, so make sure you are in it to win it. Over to Caan…. Winners selected on the 1st of December. And finally our matched betting partner site OddsMonkey have two fantastic deals that will actually start paying for themselves from the moment you sign up. First up their half price premium membership offer is available until 1st Dec. Yes £7.50 for one months full unlimited access to the site, strategies, forums, tutorials and personal support. I believe the phrase I keep using is “No Brainer” so at a risk of repeating myself then this is the biggest No Brainer you will come across anywhere, seriously, if you are not onboard you are really missing out. Plus as a member you can also register for their exclusive free commission offer at Matchbook betting exchange. Yes all OddsMonkey members will get 0% commission until 31st January 2018 thanks to this special deal although you must be registered by the end of Nov i.e. tomorrow to be in. Commission free matched bets and trading for 2 whole months, what was that phrase again…. So forget Black Friday as you can now have a Green Wednesday & Thursday & Friday….etc…etc…. As always if you have any questions then please don’t hesitate to contact me and do enjoy these top offers. Forget queuing overnight in the cold or brawling in supermarkets for bargains you don’t really need. Spend Black Friday online with Sky Bet for guaranteed top industry prices on a host of sporting events. We’ll have 10 Flash Sales running from 10am until 8pm all featuring top prices on a variety of exciting sporting events from today and beyond! Starting at 10am there will be a new price boost every hour for you to back, but once the hour is up the price will be gone, so make sure you come back. The offers are available to all, make sure you’re in the right place at the right time! ALL WILL BE REVEALED AT 11AM! ALL WILL BE REVEALED AT 12PM! ALL WILL BE REVEALED AT 1PM! ALL WILL BE REVEALED AT 2PM! ALL WILL BE REVEALED AT 3PM! ALL WILL BE REVEALED AT 4PM! ALL WILL BE REVEALED AT 5PM! ALL WILL BE REVEALED AT 6PM! ALL WILL BE REVEALED AT 7PM! Sky Bet ‘Black Friday’ Flash Sales will be available for a limited time, with the offers beginning from 10:00 and expiring at 20:00 on Friday 27th November 2015. Each ‘Flash Sale’ will be available for a limited time at Sky Bet’s discretion. Sky Bet reserves the right to make changes to the advertised sporting event. Once each ‘Flash Sale’ offer has ended, the price will not be available. Prices will be ‘industry top price’ at the time the offers go live. Black Friday markets will not be available to use in multiple bets, nor for cash out in Bet Tracker. Only one flash sale per customer per hour, per household, per shared computer, and shared IP address. Sky Bet may change the price offered in any of the Flash Sales at their discretion. Sky Bet’s decision will be final and no correspondence will be entered into. Any attempts to manipulate or abuse this or any other bonus will not be tolerated and will lead to immediate exclusion from this and future Sky Betting and Gaming promotions. 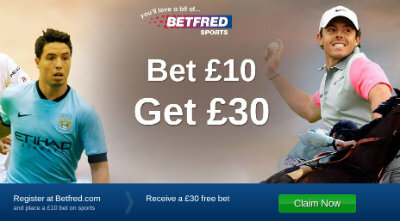 Sky Bet reserves the right at any time and from time to time to modify or discontinue, temporarily or permanently, this promotion with or without prior notice due to reasons outside its control. Bonne Terre Limited (trading as Sky Bet) with a registered office address of 41 Victoria Street, Alderney, GY9 3TA) is the promoter of this offer. Coral are joining in with the ‘Black Friday’ boost bonanza too with an amazing offer giving all new customers the chance to back Manchester City at odds of 50/1 to beat Southampton on Saturday with all winnings paid in cash. Max stake is £1 but Man City, at home, at 50/1, wow! Sign up to Coral via the link below once the offer goes live from 8am on 27th November and will be available until kick off on Saturday at 3pm plus if City don’t win then Coral will pay you £20 in cash. So there really is no downside at all. So tell everyone you know about this one! Join Unibet today and get a £20 risk-free bet! For Black Friday, enjoy price boosts on 12 football matches across six of Europe’s biggest leagues. These prices will be on the 1X2 market only and are available for just one day on the 27th November 2015 from 00:01 to 22:59. Ladbrokes have just announced a series of massive Black Friday price enhancements from 1pm on 27th November. The offers, will be available to all customers on a first come, first served basis to a maximum of £25 per bet until 2pm at the latest. So have your Ladbrokes account at the ready for 1pm on Black Friday and if by chance you don’t have one then you can also pickup a free £50 bet when you join too. Win – Win! Register an account a Ladbrokes using promo code F50 to receive a £50 free bet when placing a first bet of £50. Forget about the shop floor tussles and bag a bargain at Betfred with our Black Friday giveaway! Forget about the shop floor tussles and bag a bargain at Totesport with our Black Friday giveaway!